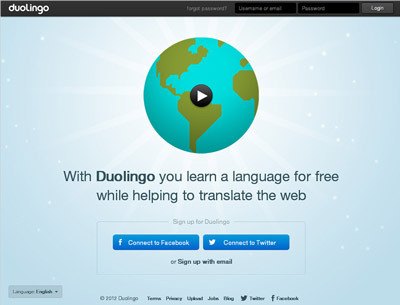 The latest innovation to hit the language market, Duolingo is fast, fun, and most importantly, free. How it works: You take bite-sized lessons on language online, then practice your pronunciation and grammar with entertaining exercises. When you feel confident that you've mastered a certain unit, you further hone your skills by translating passages from native-language websites, getting feedback in real-time. Bonus points: Your work is combined with that of other users, enabling valuable information to be translated into various foreign languages.